Three years ago, the Baltimore Orioles signed slugger Chris Davis to a seven-year, $161 million contract extension. He was coming off a season where he hit 47 home runs and looked like the sport’s next great slugger. The first year of his new deal, Davis hit .221 and destroyed 38 baseballs. He also struck out 219 times. The next season he hit .215 with 26 home runs. He played 128 games and struck out 195 times. He needed a bounce-back year in 2018 to get the fans back on his side. Instead, he imploded. In 128 games this season, he hit a career-worst .168 with 16 home runs. The Orioles won 47 games. We believe the two are related. About his struggles, Davis said, “I have no clue what I’m doing at the plate.” He needs to figure it out if Baltimore wants to get back into contention. Davis’ struggles impacted the Orioles so badly that manager Buck Showalter was fired after eight seasons. He was two years removed from leading the team to its third playoff appearance in five years. Once the Orioles replace Showalter, the new manager will have to decide if Davis keeps his starting job. 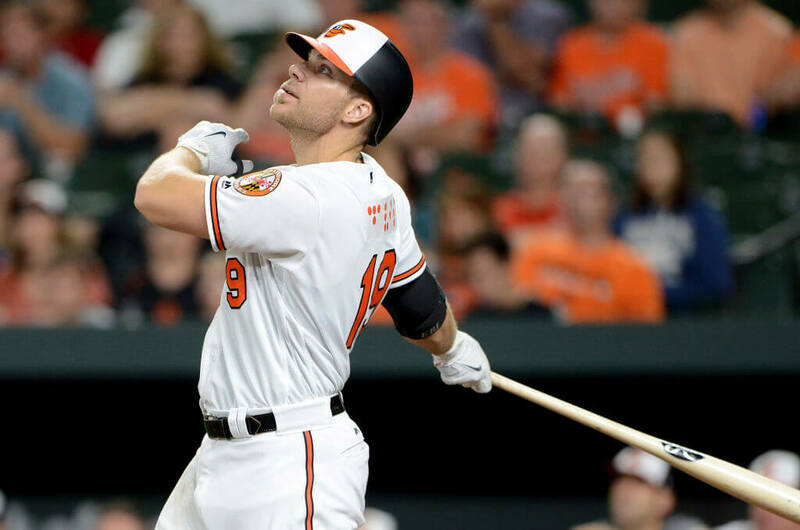 No team wants to admit they gave a player a bad contract, but in the case of Chris Davis, that might be the best possible outcome. Continuing to send him to the plate four times a game is just cruel. For everyone.